The real promise of the Internet of Things isn’t simply linking millions of devices together, just like the real innovation of the web wasn’t networking a bunch of computers. Instead, the true and still unrealized potential of IoT is to transform business models; it’s enabling companies to sell products in entirely new and better ways that benefit both the company and the customer. Around the turn of the millennium, startups began using the web browser to deliver their products to consumers and companies. Soon afterwards, instead of paying a one-time fixed price to use the software, customers subscribed to access the software. You can’t buy Quicken or Quickbooks on a CD for one fixed payment anymore. Now it’s a subscription. Though the difference may seem slight, this evolution of business model has several immense and crucial advantages that apply both to Internet businesses and the Internet of Things. First, companies can forecast their revenues much more accurately because customers commit to paying for a specified period of time. Second, management teams can plan with greater precision, hence they are emboldened to sustain higher growth rates, increasing the value of their business. Third, subscription companies often require less capital to grow because many customers pay up-front for 12 months’ worth of service, which provides the company negative working capital. Effectively, the company borrows money from its customers at less than zero interest to finance its growth. In short, subscription business models empower tremendous growth with terrific capital efficiency. Similar to the Internet, IoT enables offline companies to evolve their business models from transactional revenue to subscription revenue. That’s why it’s such a big deal. The Internet of Things has the potential to alter the way companies spend trillions of dollars. GE, which has positioned itself as a leader in this transition, aims to convert its airplane turbine business from selling aircraft engines at a fixed cost with maintenance fees, to selling hours of flight time. In other words, instead of buying one engine and a service contract, a major airline would buy 100,000 flight hours from GE with a guaranteed level of engine uptime. GE benefits for the three reasons outlined above. Airlines benefit by winning greater predictability, fewer delays, and consequently greater profitability. 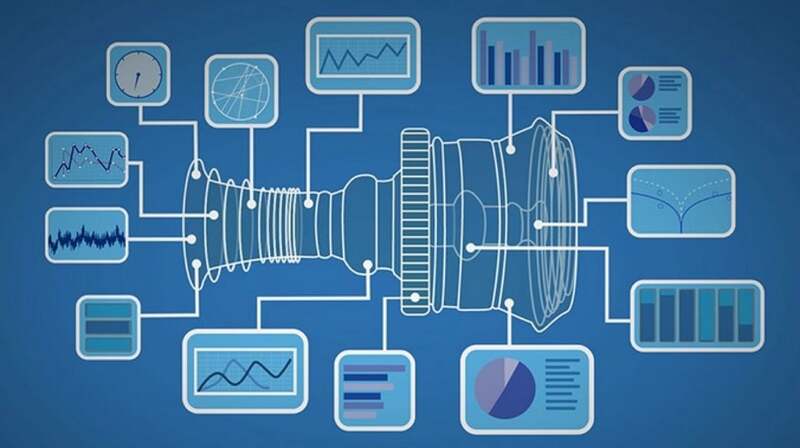 To enable this transformation, GE must instrument their turbines with sensors, relay the data from the sensors to GE data centers, process this data, predict when engines will fail and service them before-hand. They call this new business model the Industrial Internet. Clearly, the Industrial Internet concept applies to almost every part of the offline world, from copy machines to MRI scanners, from gas pipelines to off-shore drilling rigs. Like the potential of the internet, the promise of the Internet of Things will take a while to materialize. To ask a huge multinational to transform their business model on-the-fly isn’t easy. Of course, startups pursuing opportunities in the Industrial Internet will accelerate this pace of change. But we’re talking about changing the way the biggest industries do business. Patience is a requirement. Nevertheless, IoT isn’t a buzzword. It’s not a passing trend, a fad, or a transient meme. IoT is a fundamental reinvention of the way the largest industries do business which makes it one of the best business opportunities of the next decade.